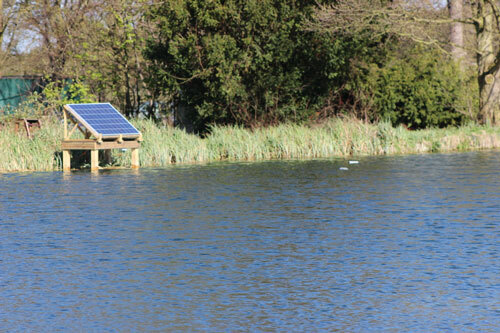 Ultrasound is a very effective method of controlling algae in ponds and lakes, the Smart Sonic ultrasound units are easy to install, cheap to run and will deal with most algal species. If you have weed problem, ultrasound is not an option for you, as it has no effect on submerged plants (macrophytes). The Smart Sonic units have coverage ranging from just 50m² for the smallest Smart Sonic Sonic 10 to 20,000m² for the largest Smart Sonic 200 model. All you require is a mains power supply. The units themselves run on 24v DC, and are supplied with a 220/240V AC – 24V DC transformer, but can also be powered either by a battery or a battery/solar panel or battery/solar/wind turbine combinations. 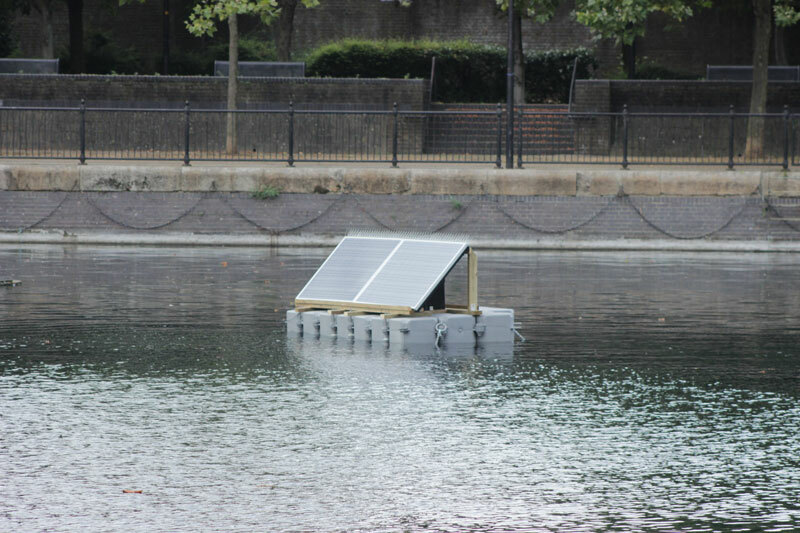 Solar powered pontoon installation at Surrey Water, Rotherhithe, London. 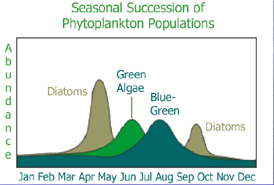 The algal species growing in lakes and ponds varies throughout the season – starting and finishing with with diatoms, to be followed by the green algae and then the blue-green algae. The diatoms bloom early in the spring and then die back, only return later on in the autumn. Algal growth is totally dependent on nutrients such as nitrates and phosphates and if they are in abundance then the algae will THRIVE! If you have an algal problem, you know where to look. 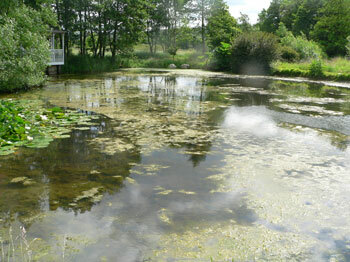 To remove excess nutrients from a lake, you will either have to remove the excess silt (expensive!) or add products which ‘bind’ the excess nutrients, however they are not removed and bacterial action will ensure that they return into the water, a process that will be speeded up if you have fish grubbing about in the silt for food. The ultrasound unit is left on continually, however during the winter months you can put the unit on a timer so that it only comes on for a few hours during the day- this just keeps the algae in check. The Smart Sonic units will deal with most algae, however there are some stubborn ones which are unaffected, primarily green algal species, so take a look at the algae section. 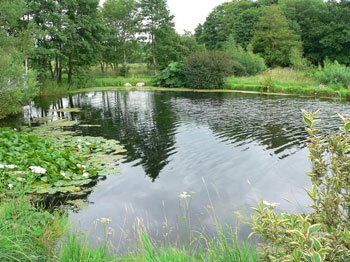 One of the most annoying types of algae is blanket weed , besides being unattractive, it takes both and time and effort to remove from a pond, however ultrasound is very effective at killing it off. If a Smart Sonic unit installed early on in the season, blanket weed won’t be able to become established. The images below, are before and after ultrasound treatment.